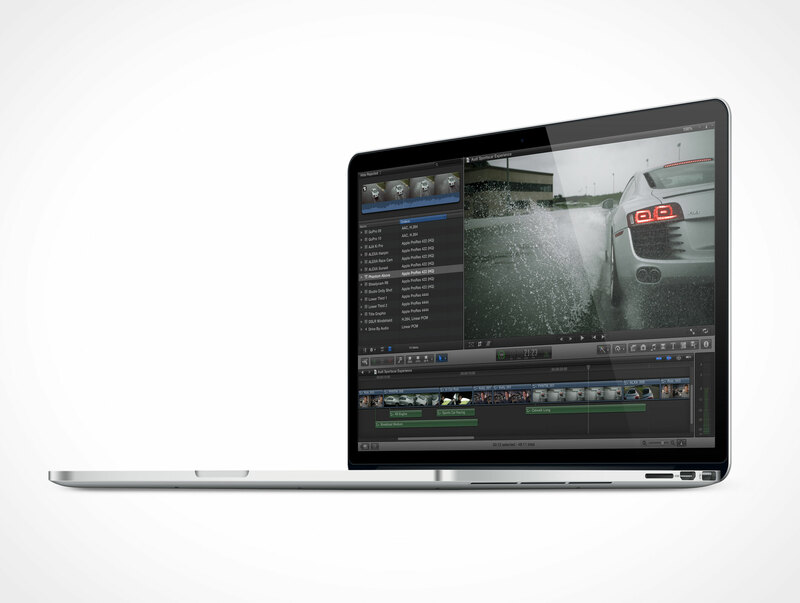 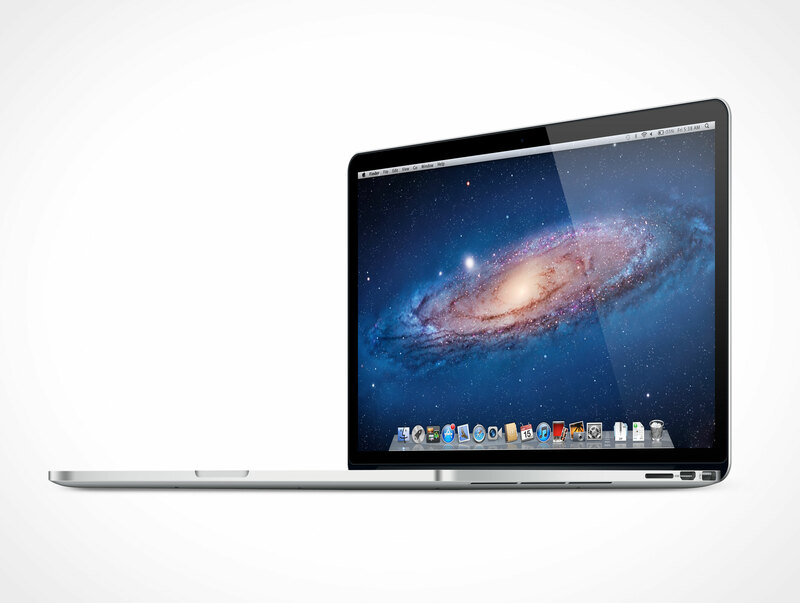 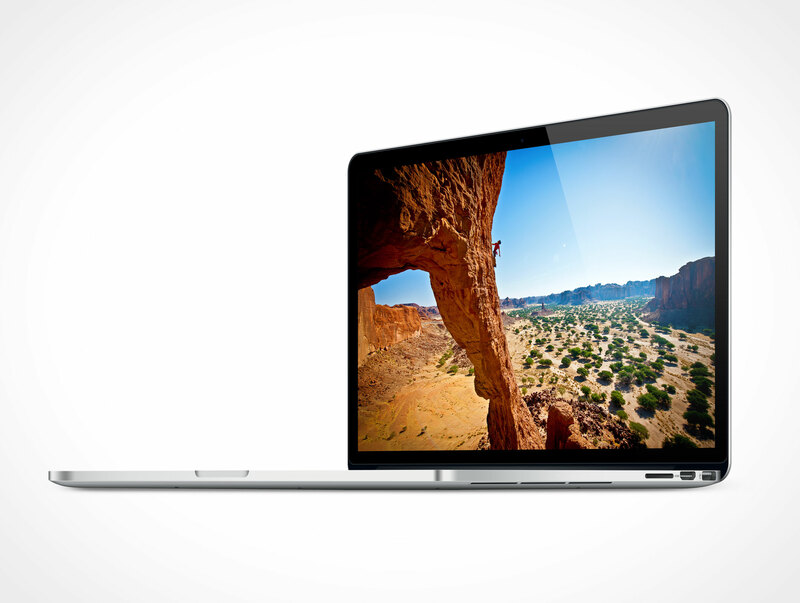 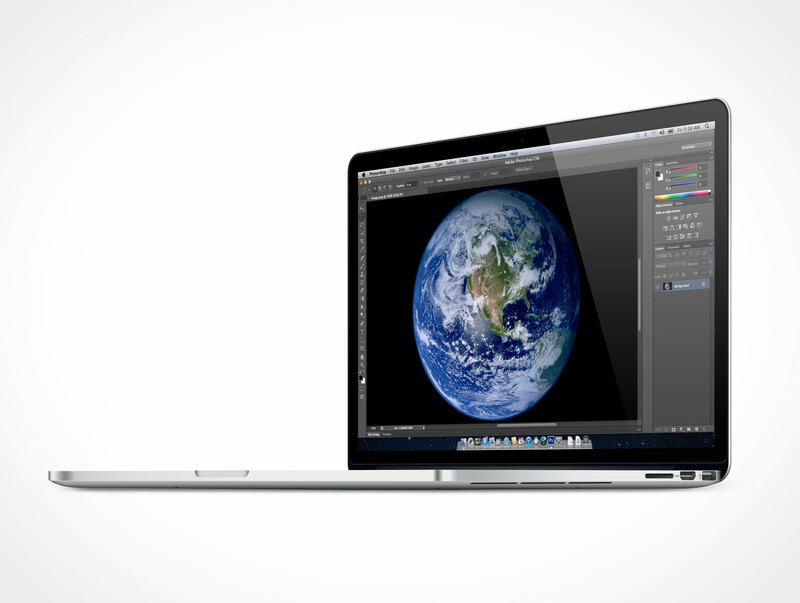 MB15RETINA005 is the MacBook Pro with Retina display resolution of 2880 x 1800 @ 300DPI. 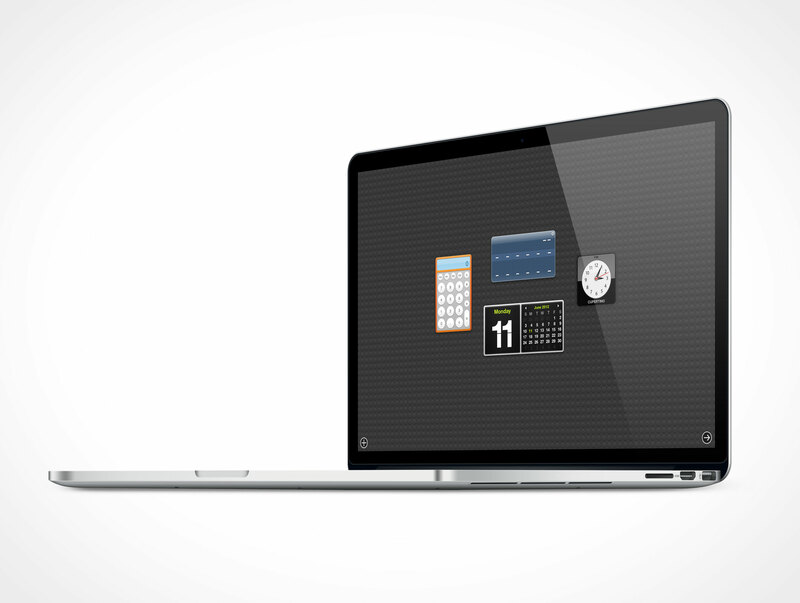 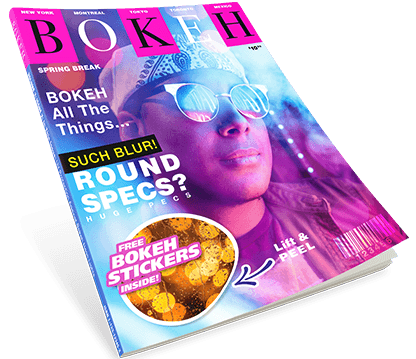 This PSD Mockup is similar to MB15RETINA003, this Cover Action displays the MacBook Pro Retina from the right side with the screen opened to 90° rather than 70° as shown in MB15RETINA003. 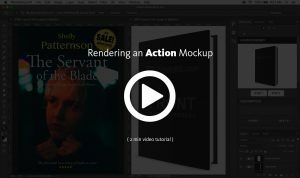 Supports rendering your 1920 x 1200 designs as well. 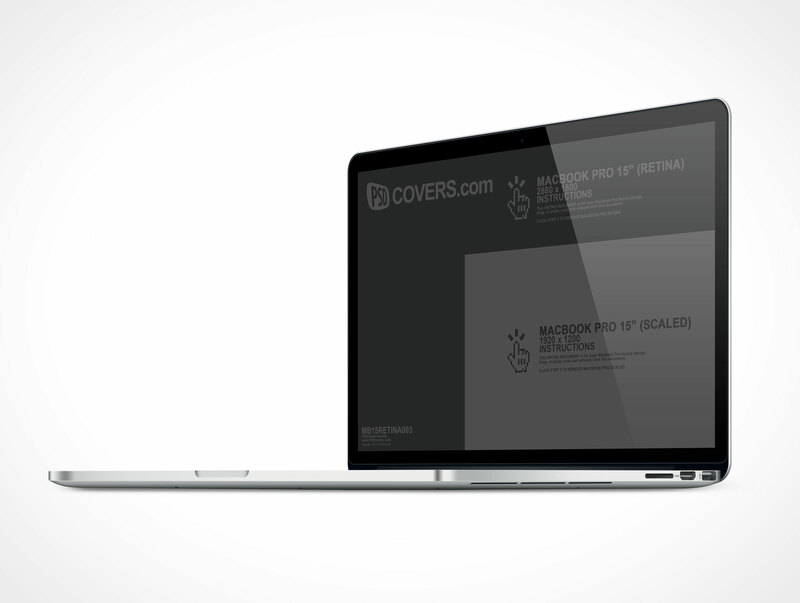 Great for your application mockups.